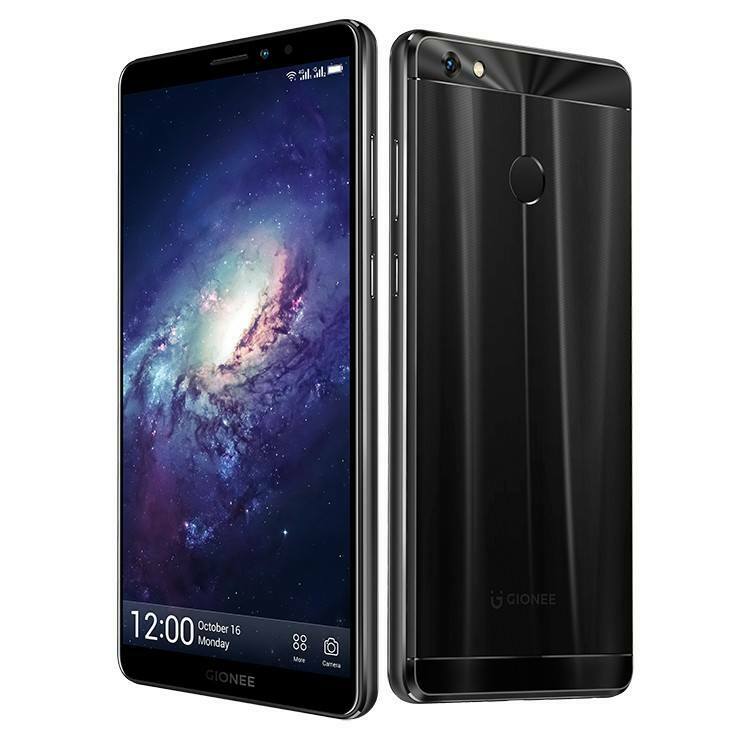 The Gionee M7 Power features a 6-inch HD+ (1140 x 720 pixels) FullView IPS display with an 18:9 aspect ratio and Gorilla Glass 3. The tall display with no side bezels looks gorgeous and vibrant with its 268 ppi pixel density. The device allows users to split screen which helps to perform multiple tasks simultaneously. 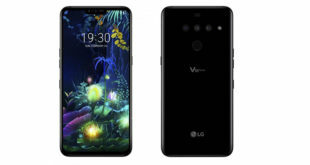 The device has a metal body measuring 156.30 x 75.60 x 8.60 mm and weighing up to 187 grams.The smartphone is powered by octa-core Snapdragon 435 clocked at 1.4 GHz coupled with an Adreno 505 GPU. 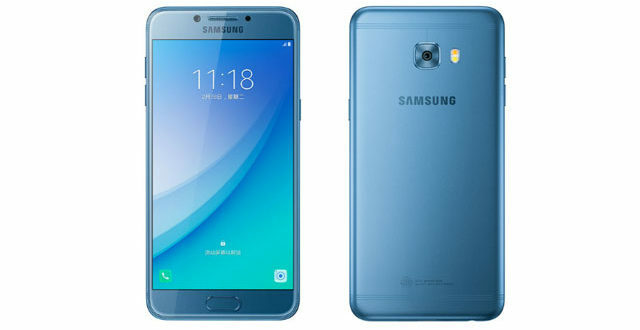 It offers 4 GB of RAM and 64 GB of internal storage on board which is expandable via a micro SD card up to 256 GB. The Gionee M7 Power sports a 13 MP rear autofocus camera with a f/2.0 aperture with a LED flash while the front offers an 8 MP fixed focus camera with a f/2.2 aperture. The rear camera supports modes like slow motion, backlight, group selfie, night, time lapse, translation, and more. While the front offers card scanner and group selfie mode. 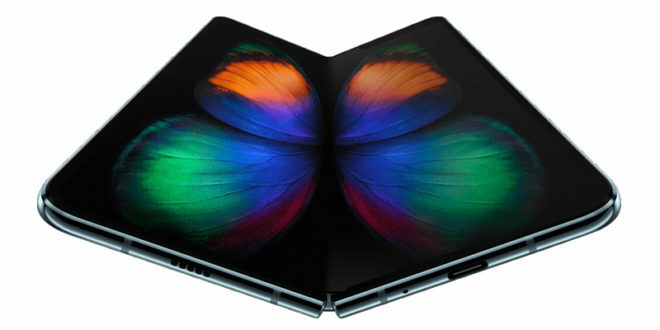 The smartphone also has a unique 3D photo feature which allows a user to go around an object to form a three-dimensional dynamic picture which can be live shared showing the object with multiple angles with more intricate details. The device runs on Android 7.1.1 Nougat with Gionee’s custom Amigo 5.0 skin on top and is backed by a massive 5000 mAh non-removable Li-Po battery (power density of 680 Wh/L)that claims to provide up to 56 hours of talk time and 625 hours of standby time. 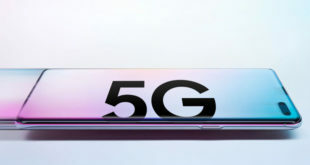 Connectivity options include 4G VoLTE, Wi-Fi 802.11 b/g/n, Bluetooth v4.1, GPS/ A-GPS, FM radio, micro USB, and a 3.5 mm headphone jack. There are sensors like Ambient Light sensor, Proximity sensor, Accelerometer, Compass Magnetometer and Gyroscope. The device also includes a fingerprint sensor on the rear and supports dual SIM. Gionee has also added the App Clone feature which lets users use three instances of WhatsApp at once. 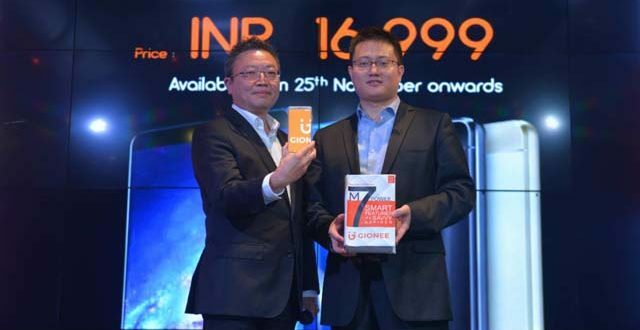 The Gionee M7 Power is priced at Rs 16,999 which puts it against the likes of Honor 9i and the Mi A1. 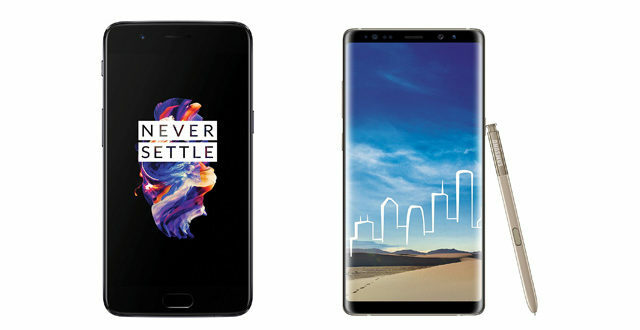 The smartphone is available in three colour variants – Blue, Gold, and Black and will be available for sale on all retail stores in India starting November 25. The device can be pre-booked on Amazon from November 17, and the customers who pre-book the device would get exclusive offers like a six months warranty for free one-time screen replacement, extra ₹3,000 off on exchange, and an extra 10 GB data from Jio for ten months on recharge of ₹309 and above.